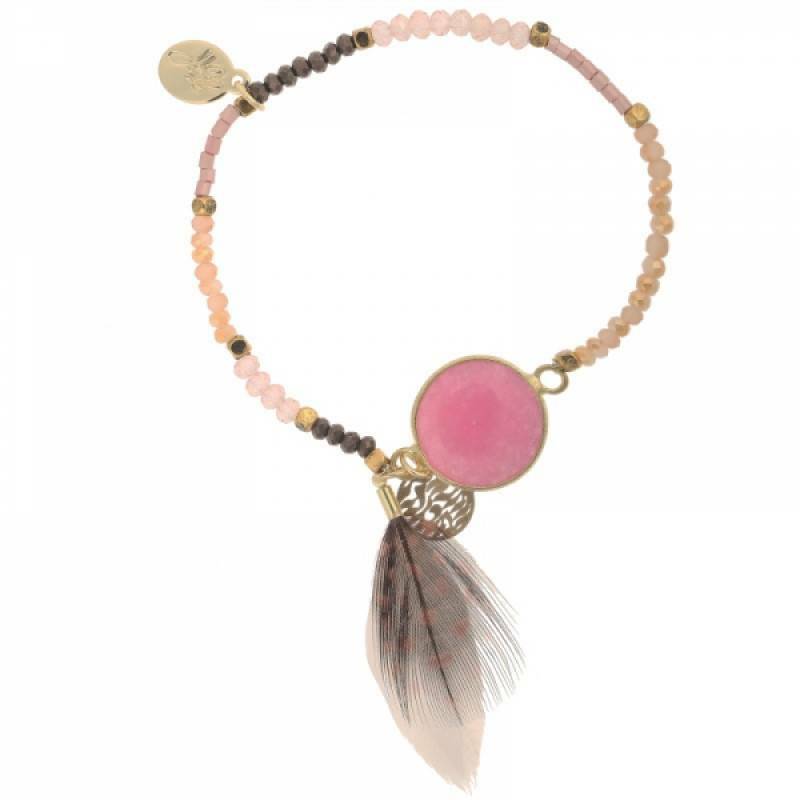 This super cute colored beaded bracelet with feathers fits every color outfit! 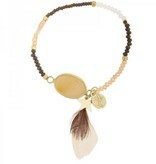 Super nice to combine with other gold-colored jewelry. 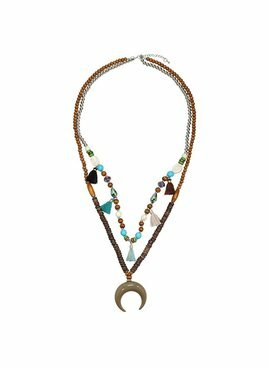 This long Ibiza boho necklace consists entirely of beads in different colors and materials. At the bottom of the chain is a large buffalo charm. 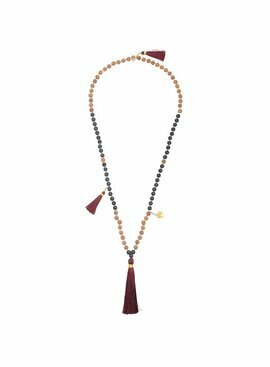 This long Ibiza boho necklace consists entirely of beads in two different colors. At the bottom of the chain there is a big dark red colored brush. 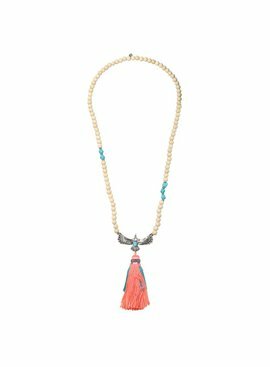 This long Ibiza boho necklace consists entirely of beads with nice turquoise stones and pompons. 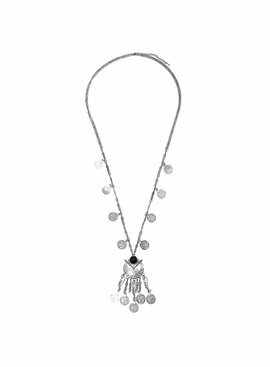 This long Ibiza boho silvery necklace has a large pendant with several coins and feathers at the bottom of the chain. 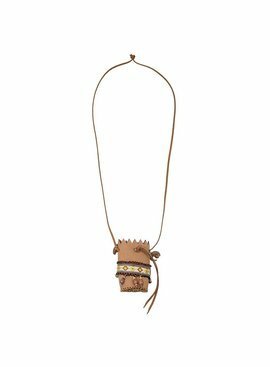 Super cool this Ibiza boho brown lace with bag! Handy too! If this is not Boho ?! Combine this necklace with other chains for a perfect look. 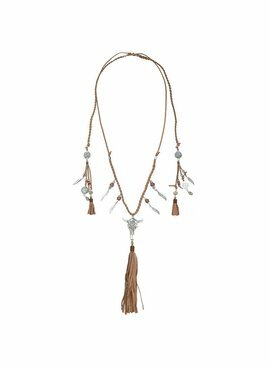 Long Ibiza style buffalo brown lace necklace with beads and suede look tassels. Perfect for a real Boho look! 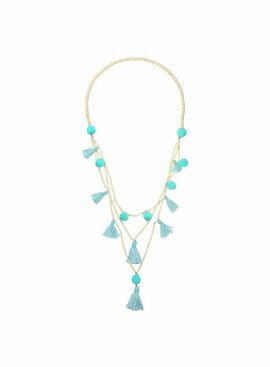 This long multilayer Ibiza Boho style necklace completes your look in one go. Because of the multiple chains you do not have to combine anything else. On the chain are all nice silver coins. Which color do you go for?